Abraham's Children Montessori, Inc. – What is Montessori ? Practical Life enhance the development of task organization and cognitive order through care of self, care of environment, exercises of grace and courtesy, and coordination of physical environment. The Sensorial areas enable the child to order, classify and describe sensory impressions in relation to length, width, temperature, mass, color. Language Arts include oral language development, written expression, reading, study of grammar, creative dramatics and children’s literature. We introduce basic conversational French and basic conversational Mandarin at an early stage as very young children are particularly sensitive to sounds and language. This is an enjoyable learning experience for them. Physical Development : outdoor play/physical exercises. 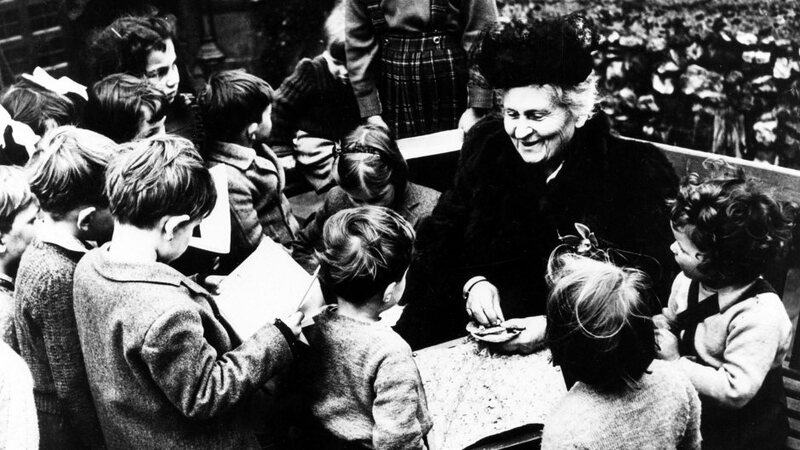 Developed more than a century ago, Montessori is an educational philosophy based on the work and observations of Dr. Maria Montessori. Although most popular in early childhood environments, the Montessori method currently serves children from birth through adolescence in schools all over the world. The method recognizes that the mind of a child during the first six years of life is especially absorbent. Guided by universal developmental periods, children acquire order, controlled movement, spoken and written language, refinement of their senses, and mathematical thinking almost effortlessly. The method highlights the crucial importance of providing children with a rich and diverse learning environment suited to their natural needs and tendencies in order for them to develop to their highest potential during these critical years. What to look for in a Private School ? As a parent, your child’s education is essential to his or her future. A concern for most parents is the kind of school or institution you intend to place them with. So here we will outline a few ideas to consider when selecting such an important future step for your child. 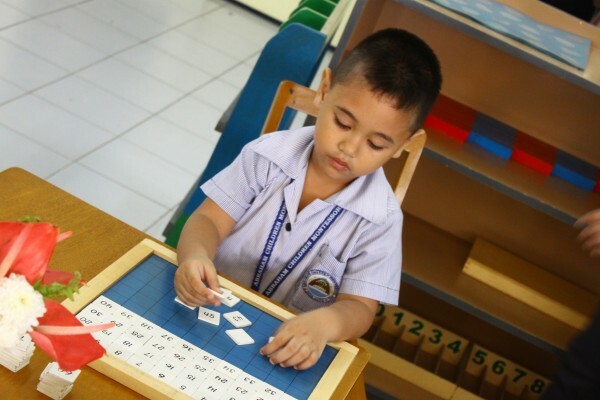 First, before visiting the list of private schools in Pardo, private schools in Talisay, private schools in Minglanilla, private schools in Naga or the surrounding areas of Cebu City, your first objective should be to outline your child’s needs alongside your individual principles and hopes so they can flourish in a positive environment. There are various factors to ponder when evaluating an institution or school for your child. These can include the size of the school and teacher/student ratios, its religious affiliations, how the school disciplines, and the diversity of the subjects taught. Other concerns could be the food they serve at lunch and break times – is it nourishing; or simply the languages that are taught. Most private schools nowadays consider that a second or third language – French for instance – will give not only a subject skill but also insight into how other cultures live around the world. All of these aspects should give your child a well-rounded education which will have a major influence on them forever. Something which we are sure you want for them. 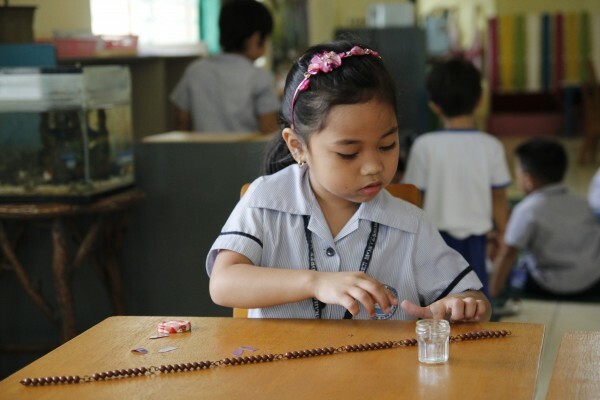 Certain practical aspects need to be addressed when your son or daughter are to be enrolled in a well-established school such as a Montessori in Talisay, a Montessori in Minglanilla, a Montessori in Pardo, or a Montessori in Cebu City. Are you a parent who wants to be totally involved in what is happening in their education? If so, great, as most private schools want you to be. Other facets such as location and transportation, is a large anxiety for some. 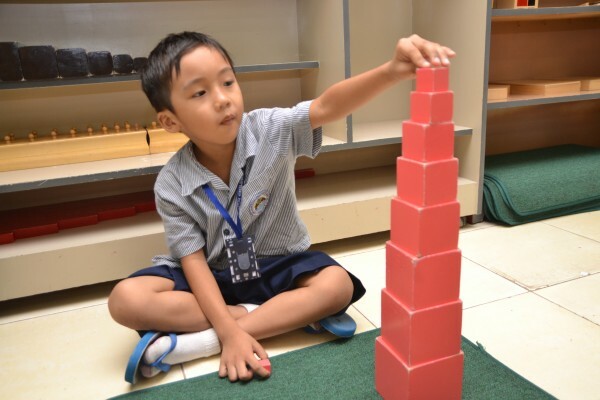 Luckily Abraham’s Children Montessori is located in a centralized area of Cebu City, which we know is catered very well by the local transportation system and is easily accessible to private vehicles. Once you’ve considered your options create a list of the things that are important to your child and you, as parents. Compile questions you need answering from the school. Things to reflect on are their philosophies and aims of the school that will have a long term influence on your child. A school such as Abraham’s Children Montessori have their aims and purpose clearly documented, so please ask for a copy or browse their website. To give you an idea here are a few questions you may use as a starting point. Does the school have a particular religious affiliation ? What overall values are inferred ? What does the school do to achieve its aim of educating each child ? Does the school pledge to educate all their students fully ? Does the school, its curriculum, values and aims match what you expect and want for your ? 1. A beautiful clean and ordered environment- obvious time taken to make things look as pleasing as possible. A child- sized environment where as many objects and activities as possible are within the child’s reach. 2. Children are defined ages working alongside each other. 4. Children having continual and free access to ranges of materials. 5. A love of nature- tables and shelves displaying a range of natural items- maybe live school animals that the children watch over and care for. 6. Predominantly calm children that are deeply involved in individual activities- but also the same children demonstrating dynamic energy and enthusiasm when involved in social and group activities. 7. Difficult children being treated firmly but with loving respect by teachers. 8. Children watching over and helping other children. 9. Children watching over and maintaining the order in the environment (putting things away and cleaning without adult involvement). 10. Children obviously not always waiting to be told what to do. 11. Children demonstrating a high level of confidence and independence. 12. Children socializing easily and spontaneously with each other and the adults in the environment. 13. Teachers that often seem to be standing back and simply observing the children. 14. A general atmosphere of fun and happiness. After Montessori Preschool, Then What ? Many parents wonder if Montessori preschool will adequately prepare their child for further education. After many years of teaching experience and parent feedback, we can firmly and resolutely say, “Yes, indeed it does!” As Maria Montessori observed, the patterns of inner direction and concentration stay with children as they go on to higher learning. This is one of the great gifts of a Montessori early education. The joy of exploration and the inner satisfaction of completing challenging tasks set a positive attitude toward learning. Children with a Montessori foundation are confident in their ability to acquire knowledge, solve problems, and cope with new information and experiences. These form their blueprint for becoming a successful student in the years ahead. As parents there will come a time when your own children will leave the boundaries of the home they’ve known since birth. Undoubtedly for the last few years you’ve both had long talks about what you want for your child’s future, particularly their impending education. Selecting the right kind of school and education to place your child can be a daunting task. Commonly your choices will be based on your own good or bad childhood educational experiences. If it was a fun and exciting time then you’ll want your child to have the same; if bad, then you’ll want to stay clear of those circumstances. 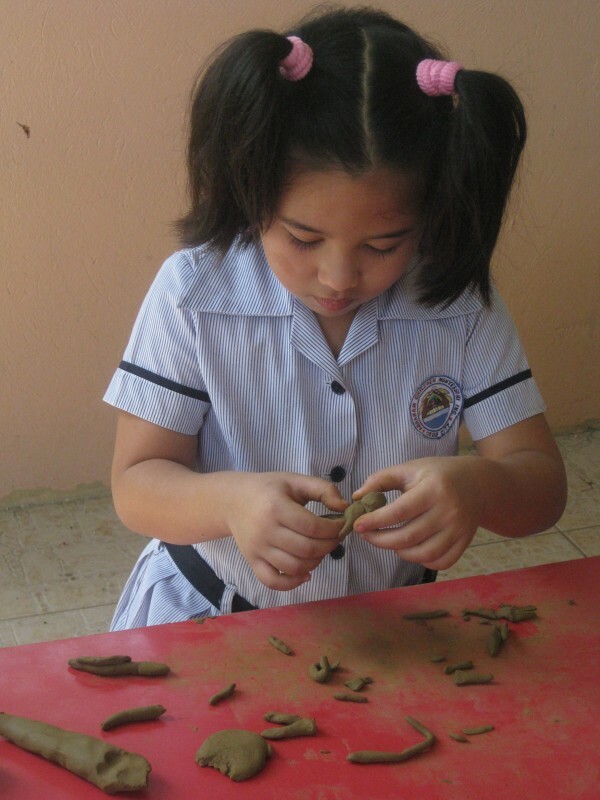 Montessori’s philosophy and educational tools have been used by children for over a hundred years. No matter which country it’s taught in, the parent’s economic status, public or private schools; the Montessori education system has proven itself again and again; then and today. A classroom in a Montessori school gives the child independence, allowing them to do things for themselves without the aid of an adult. Everything within the classroom setting is scaled-down for the children; all educational tools are an aid to their visual and touch senses, and all within easy reach. The materials used shows a child the ‘how and why’. Using the resources provided a student can see when a problem arises; not only this, they have the capacity for practicing with the equipment until they fully comprehend what they are trying to achieve; unlike conventional classes where they just ‘move along’, whether the child understands or not! The educational materials were designed to be self-correcting, permitting a child to identify their mistake without the teacher, or adult, indicating it. This way a child can ask for help when they think they need it, instead of adults telling them they want help. A child can work at their own ideal level by focusing their attention on one specific quality. Spontaneity and enjoyment of their ‘task’ gives them freedom to make a choice, in a place of orderliness and splendor, which they can appreciate. 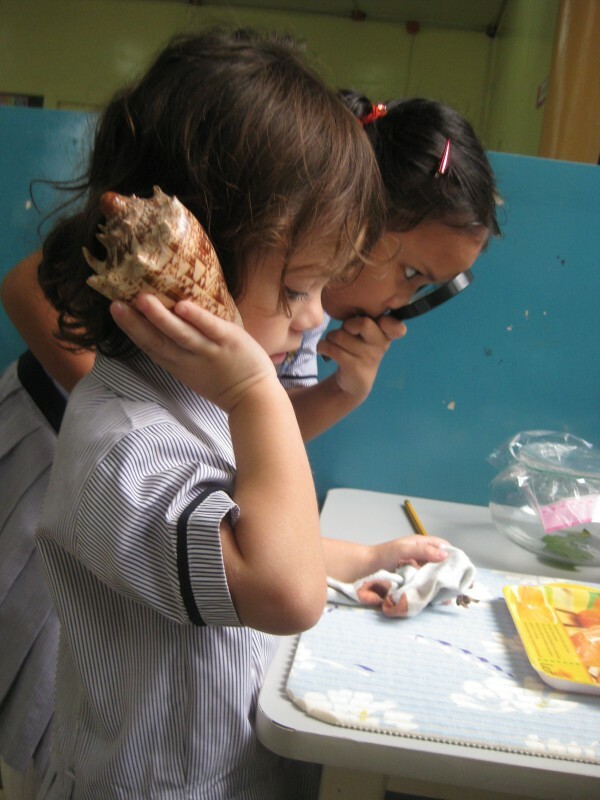 The classroom environment will help develop a child’s independence in a productive and busy atmosphere. This setting will likewise enhance their responsibility, intellectual, and social development with their peers. The education system allows the child to experience and learn by ‘doing’, not by listening and lectures. This makes learning fun, tangible, and applicable. Ultimately a child will start to comprehend that they have the aptitude and intellect to do things for themselves, giving them a lift in their self-confidence and self-empowerment. Having your child at a Montessori school has one great benefit over others, in that your child is an individual. They are taught on a specific level by the teacher, who will guide, mentor, mold, and observe your child, which will bring out their best potential for the future.